A special performance in conjunction with the Discovery Gala, which raises important dollars for University Scholarship programs. As The Beach Boys mark their 50th Anniversary of making music, the group continues to ride the crest of a wave unequalled in America's musical history. 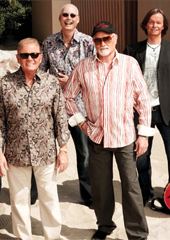 The Beach Boys have become synonymous with the California lifestyle and have become an American icon to a worldwide audience. Since lead-singer and rock's quintessential front man Mike Love penned the lyrics to The Beach Boys' first hit, "Surfin'" (1961), the band has had a string of chart-topping songs and albums that spans the career and includes eternal anthems of American youth: "Surfin' USA," "Surfer Girl," "Fun, Fun, Fun," "I Get Around," "California Girls," "Help Me Rhonda," "Barbara Ann," "Good Vibrations," "Wouldn't It Be Nice," "Rock and Roll Music" and "Kokomo." 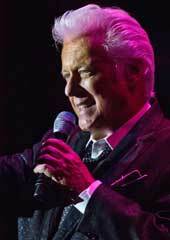 Jack Jones creates an event that pays tribute to the Great American Songbook. Called "one of America's greatest singers of our time" by Frank Sinatra, Jack Jones' career has spanned more than 50 years. With a disarming smile, an effortlessly engaging wit and a vocal style that stands alone, Jack Jones is one of America's greatest singers ranking with the legendary Mel Torme, Tony Bennett, Frank Sinatra and Vic Damone. A double Grammy winner, Jack performs around the globe to sold-out audiences in venues ranging from jazz clubs to the London Palladium with musical perfection, vocal passion, phenomenal breath control and impeccable phrasing. These qualities all unfailingly illustrate why he stands with the luminaries. Jack Jones is the very definition of a complete and total entertainer. 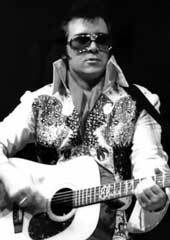 The New York Times raves, "he is arguably the most technically accomplished male pop singer..."
Elvis Aaron Presley, Jr., is a riveting performer with a rare capability to establish a very special rapport with his audience. Yes, he is the son of the late Elvis Presley, born out of wedlock, unbeknownst to Elvis, on December 24, 1961, in Gary, Indiana, the result of a liaison between Elvis Presley and Angelique Delores Pettyjohn, a young actress who was an extra in the film Blue Hawaii. His incredible singing voice, naturally reminiscent of "The King," and fine sense of humor has thrilled audiences worldwide. Elvis Jr.'s talent as a musician and entertainer is a gift to all who enjoy the works of his late father. His looks, voice, style, grace and demeanor has captivated audiences worldwide and are a testament that the King's legacy indeed continues. Sheena Easton, whose career has spanned the last 30 years, was born in Scotland. Easton's recording career has included Gold and Platinum albums. She has received two Grammy Awards, and she was the first person to have the top five records on five Billboard charts. Sheena Easton is the only artist in the history of the US Billboard charts to have a top three hit on each of the Billboard key charts consecutively: Adult Contemporary, Dance, Pop, Country and R/B. Her pop hits include "Morning Train," "For Your Eyes Only," "Strut," "Sugar Walls," "U Got the Look" with Prince, and "The Lover in Me." She has worked with prominent vocalists and producers such as Prince, Christopher Neil, Kenny Rogers, Luis Miguel, L.A. Reid and Babyface, Patrice Rushen and Nile Rodgers.